There are a lot of very good people in tennis, those who possess sharp and imaginative minds, who see the need for progress, who know that to stand still in this day and age of hyper-movement is to congeal and ultimately contract. And there are other good people who prefer the status quo, the way things are, and who throw their hands up in a first line of defense against the progressives. They would keep the sport the way it is because it suits them to remain undisturbed. In December of this year, Croatia will play Argentina in the final of the 2016 Davis Cup, an annual event that was initially cultivated as an invitation between the United States and the British Isles (as it was in the first throes of the 20th Century), but which has grown into a story that encompasses nations from every corner of the world. Ask anyone who loves tennis if they love the Davis Cup and they will say yes, of course they do. Beautiful event. Team spirit. National pride. Fly the flag. Win it for boys. In this Olympic year, there was the inevitable priority of the Rio Games which had to be fitted into the calendar because since 1988, when tennis was readmitted to the five-ringed family, the thought of winning gold has brought a glint to the eye. Andy Murray won his second Olympic golden gong this year, defending his title, only a month after he had lifted his second Wimbledon trophy. From Rio, flew to Cincinnati and somehow made the final, travelled on to New York City and was defeated in the quarterfinal of the US Open by Kei Nishikori, staggered on to Glasgow where, by dint of sheer willpower and animal intensity, he somehow played three matches in consecutive days, but it was not quite enough to see his country home. Great Britain lost 3-2 to Argentina, who were spurred by a resurgent Juan Martin del Potro and blessed with an unlikely hero in Leonardo Mayer. But it was the look on Murray’s ashen features on the last day, rather than what he achieved on the court that resonated more than anything. 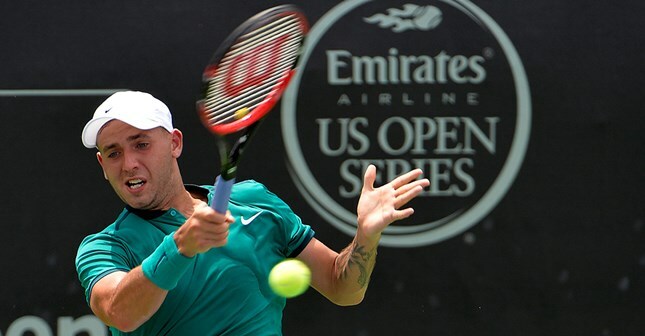 He was washed up, almost unable to get to his feet to try to rouse his compatriot, 2016 Atlanta Open player Dan Evans, against Mayer in the concluding rubber (the fancy name for single Davis Cup matches). He was quite simply out on his feet. The calendar had broken him. It is that look that should haunt tennis. The perennial problem of the calendar and the fact that nobody wants to give ground for fear of losing status and influence remains one that ought to be challenged but tends to go without anyone addressing it with the ultimate ‘the sport should come first’ sentiment. Tennis would thrive from more shortened, energetic bursts. World Tennis Day, centered on the iconic Madison Square Garden in New York, is one such innovation which, every first week of March in the past few years, has shone a light on the sport by attempting to grab the world’s attention for a day and uplifting tennis on a global level. But we still need to do a finer job on explaining exactly what it is there for and how it works for the greater good. The Grand Slams have their place. They are wonderful two-week garlands of tennis, though each of the four, the US Open, Australian Open, Roland Garros and Wimbledon are often locked in a ‘we’re better than you’ joust for supremacy that tends to be determined now by how many of their show courts have a roof. The current score is Australia 3, Wimbledon 1 (with one on the way), US Open 1 (with one on the way), French Open nil. So Australia, once the upstart third cousin, is now the developmental leader and, if truth be told, the best of the bunch in many, many ways. It was from Australia that, seven years ago, came the plans for tennis to stage a World Cup. It was a wonderful idea, full of spirited, adventurous thinking. The numbers added up, the interest in television companies was sought and guaranteed, the players were up for it. Of course, the powers-that-be in the game got together and partially strangled the idea at birth, though I have a feeling there is increasing air in its lungs. We have not seen the last of that plan. The people behind the World Cup did not want to drive the Davis Cup out of existence, far from it. They felt that a reformation was imperative. A competition that has stood the test of time but has become an unfathomable morass, and which struggles for understanding and true appreciation, ought to be ripe for a change. A World Cup would provide a thrilling alternative. a) The launch of an open bid process to assess fixed host cities for the Davis Cup and Fed Cup by finals – a model used by events including the UEFA Champions League Final, Super Bowl and European Rugby Champions Cup; b) a full industry consultation on scheduling alternatives for the 2020 season; c) a review of current match formats, particularly the current best-of-five-sets approach and scheduling requirements during the week; d) an extensive feasibility study, by the newly created Davis & Fed Cup Task Force, of format changes below the World Group to better support and encourage involvement in both events - particularly by developing tennis nations, and to further increase worldwide interest and viewership and e) a full assessment of current staging options for host venues and cities. The ITF seems to have grasped the nettle. They will still have to vote the changes through, with August 2017 as the allotted date. It is time to have the discussion on the tennis calendar that sensible people have long wanted. It is time to make the sport work for all. Neil Harman was a long-time tennis correspondent of the London Times and London Daily Mail. He is the ghostwriter of ‘Seven Seven, My Road to Wimbledon Glory’ with Andy Murray. Follow the BB&T Atlanta Open on Twitter, Facebook, Instagram and Snapchat: @atlantaopen!